Parenting teens in today’s society is not an easy task. Communication with your teenager is key to their success on many levels, however as a mother that raised two teenager, I know it is easier said than done. Drug and alcohol use among teens is an issue parents need to be aware of. There are many good kids making some very bad choices. A common misconception parents make is thinking that a teen that is only smoking marijuana is a phase. Marijuana and the substitutes for it, such as spice, are more risky and dangerous than years/generations prior. They can be laced with higher levels of PCP than can literally alter the mind of your teen as well as cause brain damage. 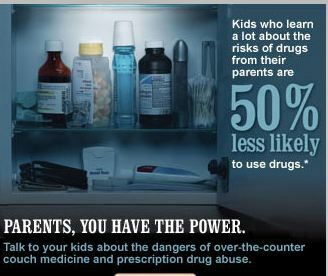 Do you have a teen that you suspect is using drugs? Is therapy not working? Have you exhausted all your local resources? 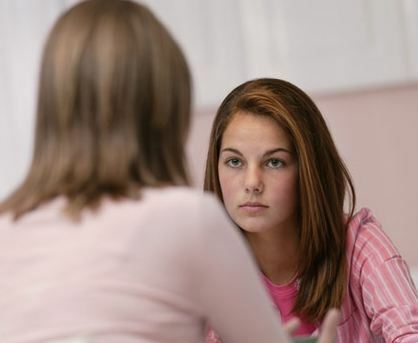 Take the time to learn about residential therapy, visit www.HelpYourTeens.com. Each teen and family are unique, there are many teen help programs, knowing how to locate the one best for you can be a challenge, however Parents’ Universal Resource Experts can help, starting with a free consultation. Please remember, it is not your marijuana from your college or teens days. What is your teen doing online? Did you know they can order drugs virtually? IT’S OKAY!!!! Snooping when their safety is at risk is part of responsible parenting. Parents often find it difficult to balance between keeping a watchful eye on their teens and invading their privacy. Some parents may shy away from proactively monitoring their teens’ online behavior because they don’t want to be overbearing, “uncool,” or untrusting. StopMedicineAbuse.org is here to tell you, IT’S OKAY! Monitor what your teen is searching and where they’re going online. Keep tabs on the list of websites visited and items searched on your computer by reviewing your internet browser’s history. You can do this by opening your internet window and using the shortcut Ctrl+H. 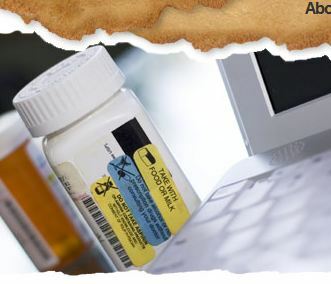 Look for suspicious sites or search terms related to dangerous behavior, such as terms like “robotripping” or “dexxing” and pro-drug use sites like GrassCity.com and Erowid.com. If you see your teen using their Facebook page in an inappropriate way, or if you see red flags for dangerous behavior, address it offline! Don’t use their profile as a way to communicate your concerns. Instead, take it as an opportunity to talk to your teen offline; for example, if you see friends referencing drinking or drug use on their wall talk to them about the risks of this dangerous behavior. To friend or not to friend your teen on Facebook? Friend away! According to a recent study by Lab42, 92% of parents are Facebook friends with their children and more joining to monitor their kids’ interactions, with 40% citing safety as the top reason for looking at their profiles. This will allow you to keep tabs on who your teen is interacting with and will allow you to identify any red flags for risky behavior, including dangerous teen trends like robotripping, surfing, and 30 seconds. Bring Internet use out from behind closed doors. Insist that your teen uses the computer in a communal space rather than in their bedrooms. Join Stop Medicine Abuse on Facebook and follow them on Twitter. If you haven’t heard about Jamie Oliver’s movement across our country to make a change in school cafeteria’s it is time to listen up. This year, more people were talking about school food than ever before. With childhood obesity finally accepted as a scary national epidemic, politicians, the press, and a whole lot of parents were examining how and what we feed our kids. The Food Revolution has been in the mix all year long. 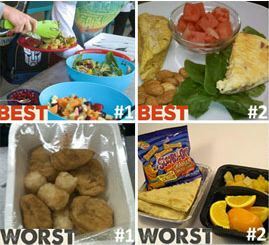 Last December a divided Congress managed to pass the Healthy, Hunger-Free Kids Act, which defines the National School Lunch Program (NSLP) and all aspects school food. It brought an historic $0.06 increase in school lunch funding, plus new requirements for transparency and community involvement. As mandated by law, the United States Department of Agriculture (USDA) developed new standards forthe food on the lunch tray. Grounded in science-based recommendations from the Institute of Medicine, they included important new provisions like adding whole grains, reducing salt and saturated fat, and specifying a diversity of fruit and veg. When the proposed USDA rule was opened for public comment, 25,000 Food Revolutionaries shared their thoughts with the government. In total, more than 150,000 letters were sent to Washington from people all across the country. What can you do? Get our community involved! Join Florida’s Food Revolution Community – click here and sign the petition!